The longer they stay, the more you suffer. Never risk your family’s health with pest infestation growing and multiplying on your property. The moment you notice pests in your home is the moment you should be calling us over for professional pest treatment. Home remedies and pest control products available on the market might work just as well, but they fail to keep pests from returning all over again. Would you prefer to get rid of them once and for all? Give us a call today. Our commercial pest control Rock Hampton services are designed to obliterate even the most stubborn pest colonies. Australia is a land of creepy crawlies, but that doesn’t mean they can intrude your personal space and give you rashes. Do you have mice, rats, cockroaches, spiders or an infestation you just want gone? We help you get rid of unwanted pests fast, so you can enjoy complete peace of mind, all year round. With our many years of experience in pest control and perhaps one of the most recommended pest control companies in Rock Hampton, you can rest assured we can help you too. If your commercial property is heavily infested by pests, it will have a serious impact on your staff’s productivity, and no customer will ever want to return. Property owners might think they can keep pests at bay with regular cleaning, but that won’t always help because pest infestation can occur even in the cleanest and most organised places. This is where you need a reliable commercial pest control service. Our commercial pest control practices are eco-friendly and highly effective on all kinds of pests and insects. We can run inspection and pest control on properties of all sizes and types, and the best part is you do not have to wait for hours after pest control to move back in. 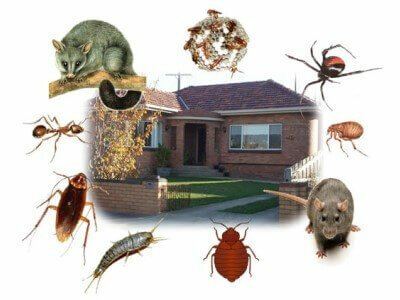 Call us today on 0419 266 161 and experience how fast a genuine pest control professional in Gracemere and Rock Hampton can help you get rid of unwanted pests. Rockhampton is home to historic streetscapes, classic vintage homes, heritage post offices, and royal stunning cathedrals. This town has 26 impressive buildings like Customs Homes, the Supreme Court House, the Post Office and St Joseph’s Cathedral to name a few. Rockhampton is the twenty-second largest city in Australia with a population of about 80,000 people and is renowned as the Beef Capital of Australia. Rocky is a tropical paradise and has warm weather enabling you to escape the biting winter… And remember to plan a day out exploring the Tropic of Capricorn Spire. At any time, if you are searching for carpet cleaning services in Gracemere and Rockhampton, for affordable and efficient cleaning be sure you reach out to Ultimate Restoration Services. Heavy-Duty Pre-Conditioner– is applied to areas to loosen ground in soils, in entrance ways, areas leading to and from the kitchen, in front of the sofa in the living room and hallway. Truck-Mount Steam Extraction –State of the Art Equipment that provides higher heat and powerful suction than other carpet cleaning machines. Client must move all furniture, or we can clean around furniture. Client must vacuum carpets prior to us arriving. Client must move all breakables from rooms to be cleaned. No Plastic tabs or Styrofoam blocks under furniture. No carpet grooming, reset pile. Please Note: Additional steps will need to be added if carpets have medium to heavy soiling. If required, Dye or Coloured Stains will need more specialised chemicals and time set aside to give you the desired result, and will be at additional cost. When only the best results, is all you want. Pre-vacuuming – Vacuuming done thoroughly of all areas. It will remove dry imbedded abrasive and gritty soils that only damage and shorten the life of the fibres. By vacuuming your carpet using hospital-grade filters, 70% of the dry soil in it will be removed. Furniture Moving – We moving furniture, if prepared before our arrival [clearing of all breakables] or we will clean around. Please note some beds and furniture due to their design, age, size and weight may not be able to be moved, so we may just clean around. All we ask of you is to move the small items off furniture, so it is not only easier to move but we didn’t want to break any of your valuable items. Rotary Agitation – For Maximum deep pile separation of soil and oils that cause re-soiling. It also increases the efficiency of the process, much the same way as when you rub your hands together when washing them. This step leads to a 50% cleaner carpet. Heavy Duty “Jet” Extraction – State of the Art Equipment that provides higher heat and suction than other carpet cleaning machines, leaving your carpets both dryer and cleaner. It gives the most thorough soil removal, thus extending carpet life and a healthier environment for you and your family. Conditioning Rinse -A Rinsing agent is applied through our equipment to neutralise annoying detergent residues that can cause re-soiling, leaving a softer, fresher carpet that will stay cleaner longer. Rotary Dry Clean – it clean even more and removes additional water from the pile of carpets. That way, your carpet will dry faster and it will also be cleaner and 20% brighter. Final Finish – We carefully groom your carpet pile, resulting in fast uniform drying and appearance. We will put protective tabs and foam blocks under legs of furniture to prevent the transfer of furniture and rust stains from forming. Money-Back Guarantee – If it’s not the best result for your carpet guaranteed, or it’s FREE. This package has some good benefits at a very economical price, best for medium soiled carpets. Heavy Duty “Jet” Extraction – State of the Art Equipment that provides higher heat and suction than any other carpet cleaning machine, leaving your carpets both dryer and cleaner. It gives the most thorough soil removal, thus extending carpet life and a healthier environment for you and your family. Please Note: If required, Dye or Coloured Stains will need more specialised chemicals and time set aside to give you the desired result, and will need additional cost. Value Clean plus vacuuming is our most popular package, gives you good value clean.